Ernie Becker V founder of E5 Coaching has coached thousands of people in personal growth through God development. Mr. Becker was born in Las Vegas, Nevada where he was raised as a fifth generation developer and worked in the family business for over 25 years. In 1991 Ernie established Becker V Development where he performed all aspects of construction development, buying and selling of real estate, raising money and working closely with financial institutions. Today Mr. Becker uses his God given gifts of leadership, encouragement and compassion to support others in being who God designed them to be. He is currently a Coach with E5 coaching, Ministry Partner with Central Christian Church and a Mortgage Loan officer with All Western Mortgage. Mr. Becker holds a Masters Certification from Professional Christian Coaching & Counseling Academy, Nevada Gaming License, Mortgage lending license, Nevada Contractors License and is currently enrolled at Lincoln Christian University for Ministry Leadership. 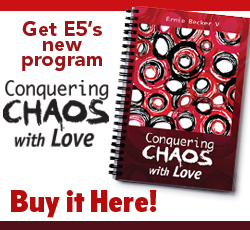 Mr. Becker has authored Conquering Chaos with Love and The You God Wants out of his journey with God. â€œI love, respect and admire Ernie for who he is and what he can do for others.â€ Leonard P. Cash Ph.D. Mr. Becker is has sat on the board of Ronald McDonald House, M.A.S.H Village, Bank of Las Vegas and is currently a partner in Hopeful Kids. Ernie has a loving wife, five children and many friends whom he loves spending time with. He enjoys serving in his church, bettering his community and growing individually. 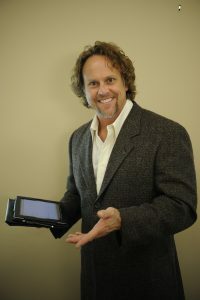 Ernieâ€™s passions include, 4 wheeling, boating, skiing, hiking, cooking, photography, hosting and entertaining all while inspiring and motivating those around him.